Today, September 20, 2013, Egyptian Ahmed Hassan holds the world record for international caps with an amazing 184. Nowadays nearly three hundred players collected 100 international appearances or more, before the Second World War playing 50 caps was a remarkable achievement. Here are the ten players that were the first for their country to play 50 international matches. 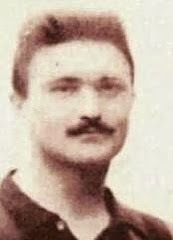 Schlosser made his debut for the Hungarian national team in 1906, in a draw with Bohemia (4-4). In total he played 68 matches for his country, of which the match against Austria (3-3 on November 5, 1916), was his 50th cap. Schlosser became the first ever international player to do so, before him the record holder was Welshman Billy Meredith. Schlosser played another eleven years for his country after that, but only managed 18 more caps. He also held the world record for most international goals (59)scored, until Ferenc Puskas broke that record in 1954. Saporiti isn’t a household name in international soccer, except in his home country Uruguay and in Argentina. He managed to collect his 50th and last cap on May 25, 1919. With the national team goalkeeper Saporiti won the Copa America in 1916 and 1917. Of his 50 caps, no less than 42 were against neigbour Argentina. For eight years, Schlosser and Saporiti were in a league of their own. Then Belgian defender Armand Swartenbroeks collected his 50th cap on September 4, 1927. Unfortunately, Belgium lost that match in Stockholm 7-0 to Sweden. Swartenbroeks was a member of the Belgium team that won the Olympic title in 1920 in Antwerp. He had the misfortune of not playing any matches for Belgium for five years, due to the First World War. Otherwise, he probably would have been the most capped player before the Second World War. With a Belgian player at number 3, the Netherlands can’t stay far behind. Harry Dénis was a right back defender, and played in three Olympics (1920, 1924 and 1928). He had the special honour of taking the Olympic oath on behalf of all the athletes in 1928. Dénis played his 50th cap on June 5, 1928 a 3-1 victory over Belgium at the Olympic Consolations Tournament. His biggest disappointment occured a few days earlier, as the Dutch lost against 0-2 Uruguay in the first round of the Olympics. Dénis was captain of his team in 37 of his 56 international matches. 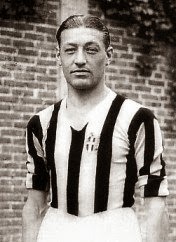 Just like Dénis, Umberto Caligaris played as a right back and also took part at the 1928 Olympics (as he did in 1924). He was more succesfull, as Italy managed to win a bronze medal. Caligaris collected his 50th cap in an away match against Switserland (1-1) on March 29, 1931. Caligaris played his 59th and last match for Italy in February 1934, just a few months before Italy won the World Cup. He was a squad member, but sat on the bench the whole tournament. He was 32 years old at the time. After playing only a few minutes of a veteran soccer game on October 19, 1940, he was taken to the hospital and died of a aneurysma. The Austrian Wunderteam (1931-1932) had many outstanding players, like Matthias Sindelar, Fritz Geschweidl, Anton Schall and goalkeeper Rudolf Hiden. Defender (again!) Josef Blum was in the line-up of what was considered the birth of this Wunderteam, a 5-0 victory over Scotland. In the one and a half year after that, Austria won for example 6-0 and 5-0 against Germany, 8-1 against Switserland and 8-2 against Hungary. Blum was one of the oldest players on the team, the match mentioned against Hungary was his 51th and last one. 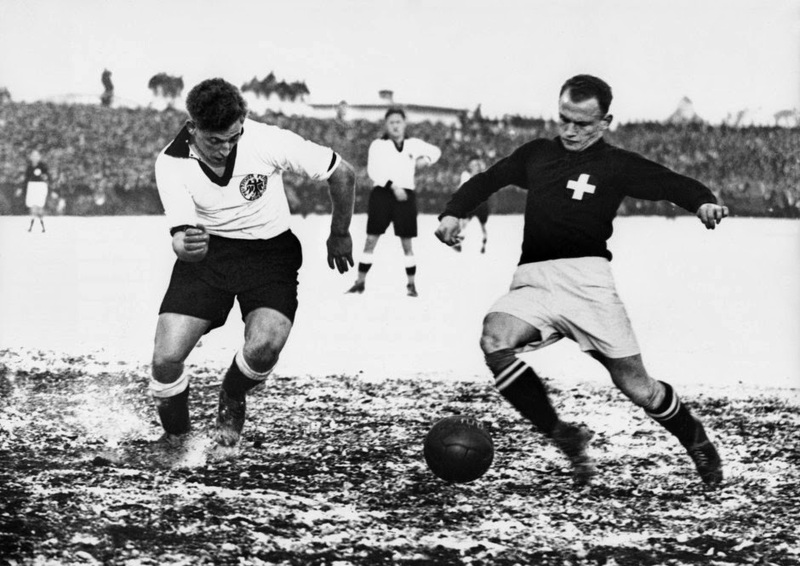 One month before, he played his 50th match on March 20, 1932, a 2-1 victory over Italy. Blum’s record of 51 caps lasted until 1954, when Ernst Ocwirk took over. Max, or ‘Xam’ Abegglen is one of three soccer playing brothers (Jean (1899) and Andre ‘Trello’ (1909) are the others), who all played for the Swiss national team. Max was a prolific goalscorer for Switserland, it wasn’t until 2001 that his record of 34 international goals was matched by Kubilay Turkyilmaz (and later surpassed by Alexander Frei). His biggest moment probably were the 1924 Olympics in Paris, where Swisterland reached the final but was beaten by Uruguay. Abegglen played his 50th cap on April 2, 1933, losing 0-3 to Italy. Abegglen is one of the few players who has a professional soccer club named after him: Xamax Neuchatel, in 2012 demoted to the Swiss Amateur league because of financial problems. The most unexpected name in this top ten is without a doubt Eugen Einman form Estonia. This small country was independent between the two world wars, but hardly made any headlines during this period on the soccer field. Mostly Estonia played Lithuania, Latvia, Sweden or Finland. They failed to qualify for the World Cup in 1934 and 1938. But still, midfielder/defender Eugen Einman was a member of the Estonian team from 1923 until 1935, and collected 65 caps during these years. As the first of country he gained his 50th cap on August 9, 1933 against Latvia (2-1 for Estonia). 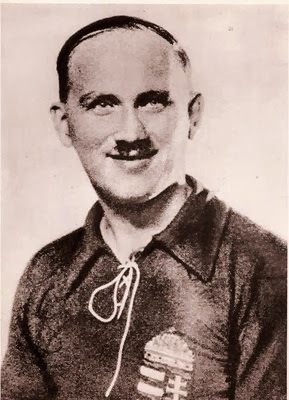 Although Czechoslovakia was a mighty force on the European continent, Josef Silný managed to collect 50 caps, with nearly all of them being friendlies and matches for the Svehla Cup (tournament between Italy, Austria, Hungary and Switserland). Silný was vital in winning the bronze medal in the 1927-1930 edition, scoring four goals. 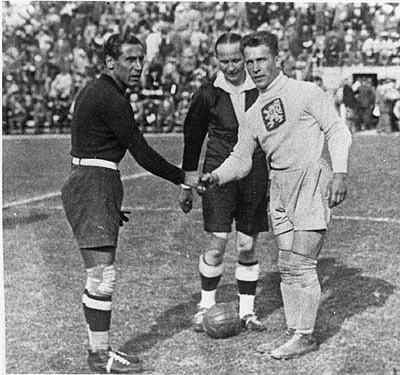 He made his debut one year after the 1924 Olympics, and after that Czechoslovakia didn’t enter the 1928 Olympics and the 1930 World Cup. At last, his 50th cap was for real as it was the first round of the World Cup, May 27, 1934. Czechoslovakia beat Romania 2-1, but Silny was left out of the team during the rest of the tournament, giving him a silver medal for only playing one of four matches. Still, 50 caps (and 28 goals) is a big achievement. The second dark horse of this top ten ends this list. Finland’s Max Viinioksa made his debut for Finland in 1926, and was a regular for the team for nine years. Actually, Viinioksa favored (ice)hockey (he did play a few matches in the 1933-34 hockeyleague) but in those days the level of play in Finland was low. So, strongly build Viinioksa decided to be a soccer player. He was famous in his own country, but not outside as Finland did not enter the Olympics in 1928, nor tried to qualify for the World Cup of 1930 and 1934. Defender Viinioksa wasn’t in the team anymore when his country played in the 1936 Olympics, losing 3-7 to Peru in the first round. Viinioksa 50th and last match Viinioksa played on September 8, 1935 against Denmark. It ended 5-1 in favor of the Danes.